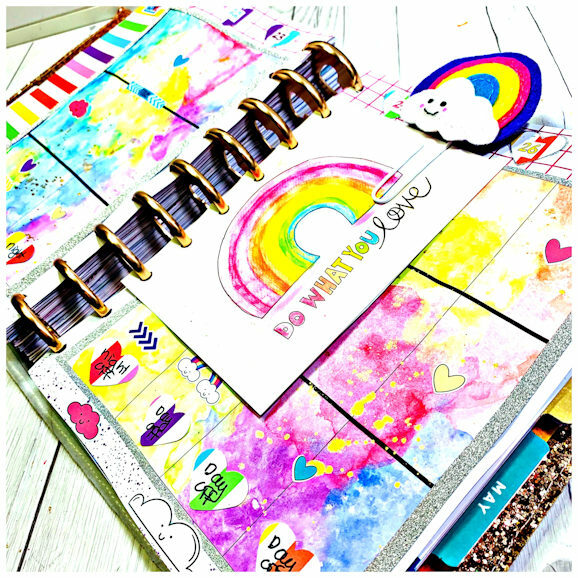 I’ve got a planner spread for you in my Happy Planner. Then I used the papers to cover the rest, because who wants to see plain white paper, right? I punched the papers with a small 1 inch heart punch to use for my shifts and for the dates. I also used the lovely postcard with Lisa’s art on to use for my weekly tasks for when I’m not sure what day to do the tasks on, but I know they need doing that week. 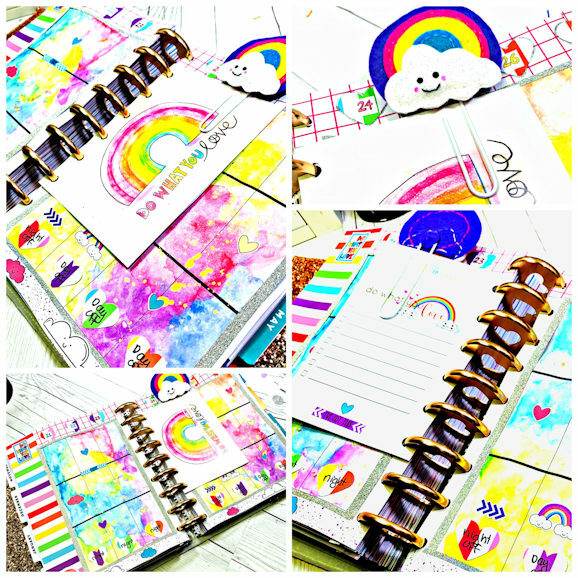 I used my Happy Planner punch so I could pop it in. I stuck one of the sheets from the list pad onto the back of the postcard. Then I went nuts with the stickers! Oh, and added the paperclip because it’s sooo cute!! Here’s a process of how I did it! !